These quotes aren’t half bad! I just wish there had been more of them. That’s really it. Ok, a few mentions of how Ira and Ruth first dated by walking next to each other on the way home from synagogue. But nothing about that intriguing identity of both southerner and Jew, and who had ever called him a Jew, or whether their religion played into their daily life. Was Sparks simply capitalizing on a sort of Holocaust sentimentality/pity party? If so, yech. The rest of the book is just a basic love story thing, intertwining Ira and Ruth’s story with the story of two younger people, a Wake Forest art nerd and a hot cowboy, and they all are connected at the end (nothing Jewish about the Wake Forest nerd or the cowboy. Well, the nerd’s parents are also immigrants but there’s nothing else about that). There is a major plotline about Ruth and Ira’s art collection, which they amass by Ruth having a knack for picking out artists who are unknown when she finds them but become really famous later. There could have been a lot here, such as if Ruth’s European relatives had artwork stolen by the Nazis, but Sparks makes no reference to that and so I’m not sure if he knew about it or just had vague ideas about there being “something” that connects European Jews and art and just leave it at that. 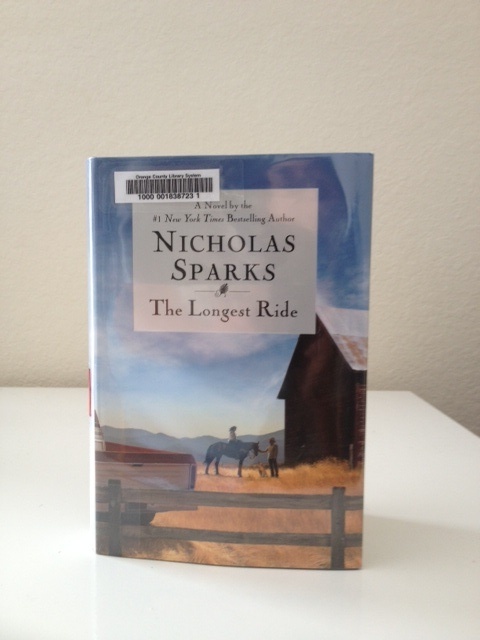 At this point I’ve exhausted all my analytical prowess when it comes to Nicholas Sparks.